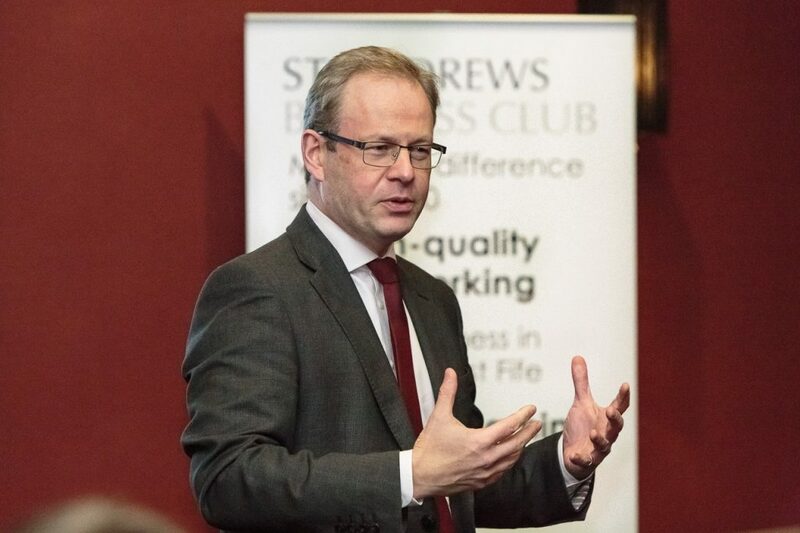 In our latest business learning event at the Old Course Hotel, William Dowson, Bank of England Agent for Scotland, shared the Bank’s views on the current economic climate, interest rates and the business environment as well as explaining his role and talking questions. Thanks to him for sharing his time and expertise. Mr Dowson became Agent for Scotland in 2010. He joined the Bank in 1995 and was a Senior Manager in the Bank’s Foreign Exchange Division before joining the Agency Network. He has held a range of analyst and management positions in the Banking, Financial Stability and Markets areas at the Bank. William has a BSc in Business Studies and an MSc in Finance, both from the University of London. NEXT EVENT: The Club’s next event is December 12: Members & Guests-only Festive Social at V&A Dundee.